Resilience is often referred to as ‘the ability to bounce back’ from adverse life experiences. What does ‘Resilience’ means to you? How important is it to the way we live our lives? How might we find it for ourselves and what can we do to enable others to develop it? 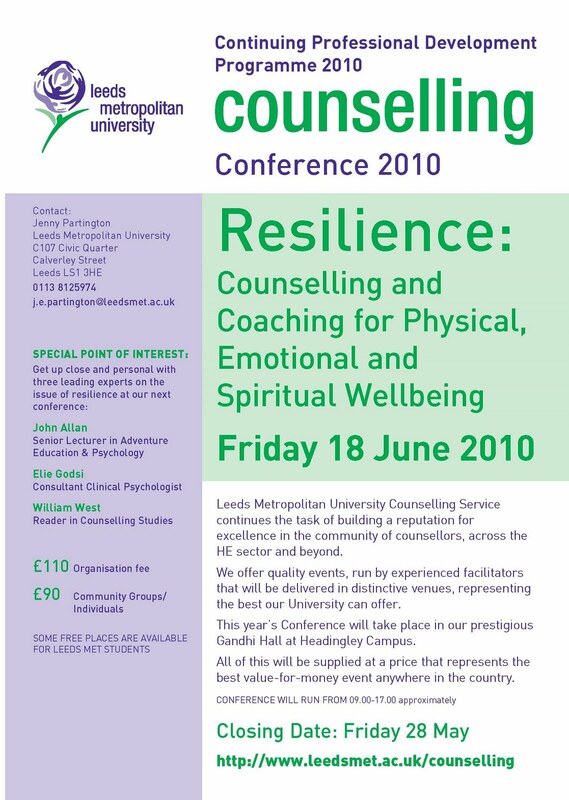 Through lively and stimulating keynote presentations and by getting ‘up close and personal’ with the speakers in a workshop setting later in the day, this conference will give delegates a ringside seat with 3 of the leading experts in the field. John Allan is Senior Lecturer in Adventure Education and Psychology in the Carnegie Faculty of Leeds Metropolitan University. His published interests focus on adventure and personal growth with emphasis upon the development of psychological resilience through adventure programming. He has just joint authored two chapters in this area within a new Human Kinetics book on Mountaineering. As an outdoor educationalist and practitioner, he has been instrumental in developing arguably the world’s largest data base investigating the impact of adventure residential programmes on student inductees’ transition into Higher Education. Being a member of the sports science research team supporting Everest West Ridge 2006, he undertook two trips to the Himalayas. He was also Deputy Expedition Leader on a recent staff and student visit to Everest Base Camp. Elie Godsi is a Consultant Clinical Psychologist, therapist, broadcaster and author. The son of Sudanese and Israeli parents, he was born in Nigeria where he spent the first few years of his life before coming to live in Britain as a young child. In the course of a career spanning over two decades he has worked extensively with violent men and women as well as their victims. He has also spent many years working in community based mental health and forensic services, in various hospital and prison settings and with young offenders in residential units. He currently works as a freelance expert witness for civil, criminal and family courts and also carries out assessments for social services child protection proceedings. His second book, Violence and Society – Making Sense of Madness and Badness was published in 2004 by PCCS books. 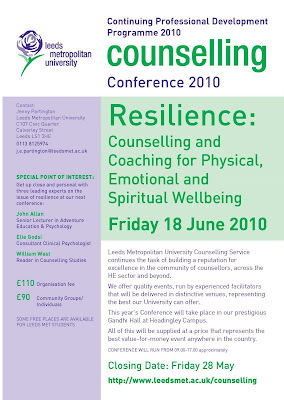 William West PhD is a Reader in Counselling Studies at the University of Manchester in Britain where he is Director of the Counselling Studies Programme and where he delights in supervising doctoral students. William’s key areas interest include: counselling and spirituality, culture, traditional healing, supervision and qualitative research methods. William has written: two authored books – Psychotherapy and Spirituality (Sage 2000), Spiritual Issues in Therapy (Palgrave 2004), one edited book Exploring Counselling Spirituality and Healing (Palgrave 2010), one co-edited book with Roy Moodley, Integrating Traditional Healing Practices into Counseling and Psychotherapy (Sage 2005), 26 academic papers, 15 book chapters and 29 professional journal papers. William is a keen cyclist, amateur poet and beginner piano player.